The first in a slew of new releases. Ok. Well, if 3 new releases can be a slew, then call me Seattle. Jackie Kashian is a danged funny person. No, really, check out her newest CD release It Is Never Going To Be Bread or a live show to prove me wrong. Go ahead, I’ll wait. ‘Cause you won’t be able to prove me wrong. And this poster is for her new CD release party set of shows in Minneapolis, MN on June 22- 26th, 2010 at Acme Comedy Company. 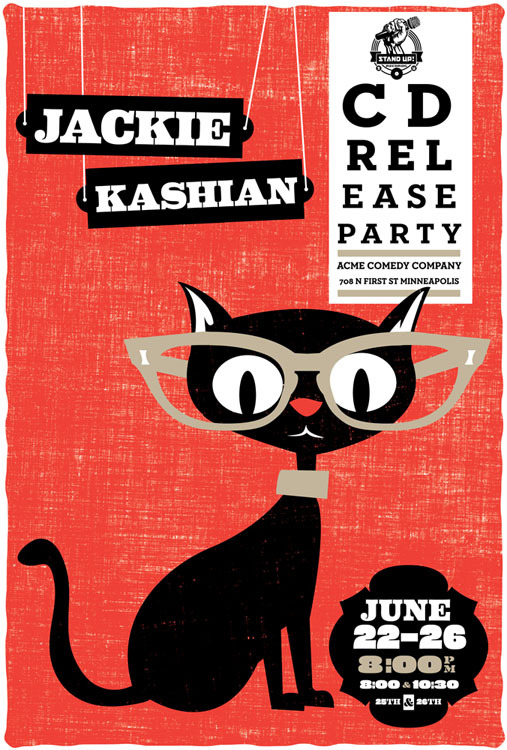 This kitty-kitty at an ophthalmology appointment my all hand screenprinted poster for super rad Jackie Kashian’s CD Release party shows at Acme Comedy Company in Minneapolis. 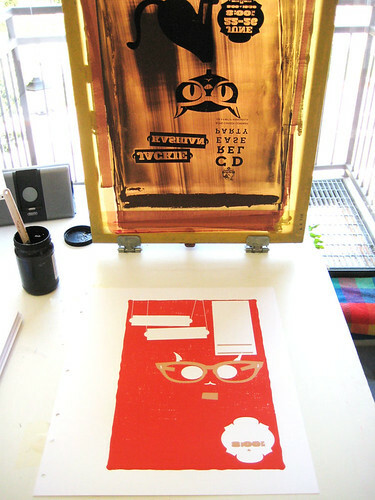 It’s my 3-color, scene of a poster with bright red, sensible beige and black cat black, hand mixed and non-toxic water based screenprinting inks. And! Would I forget some process photos? Come on. Below and always more over in my Flickr account. 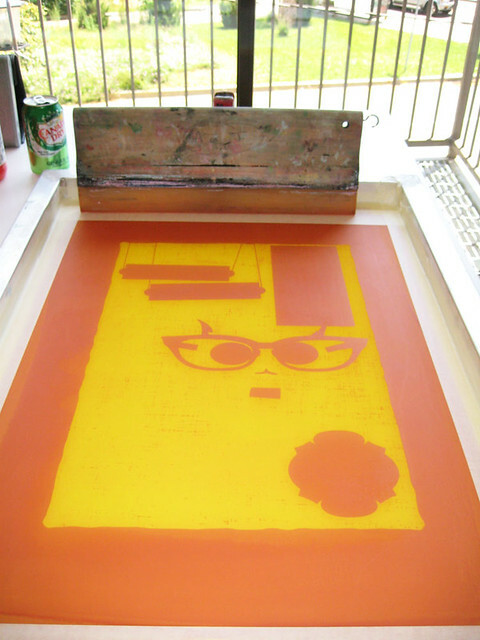 1st color screen, ready to print. Click to see more process photos. 3rd color about to be printed. Click to see more process photos. Detail of kitty-face. Click for more process photos. 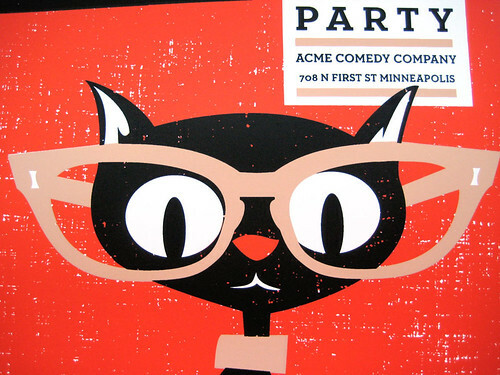 This entry was posted in New releases, News & Events and tagged acme comedy company, black, black cat, cat, comedian, comedy, eye exam poster, hand pulled prints, hand screenprinted, hand silkscreened, jackie kashian, kitty, minneapolis, modern poster design, poster, poster design, red, typography, white by strawberryluna. Bookmark the permalink.